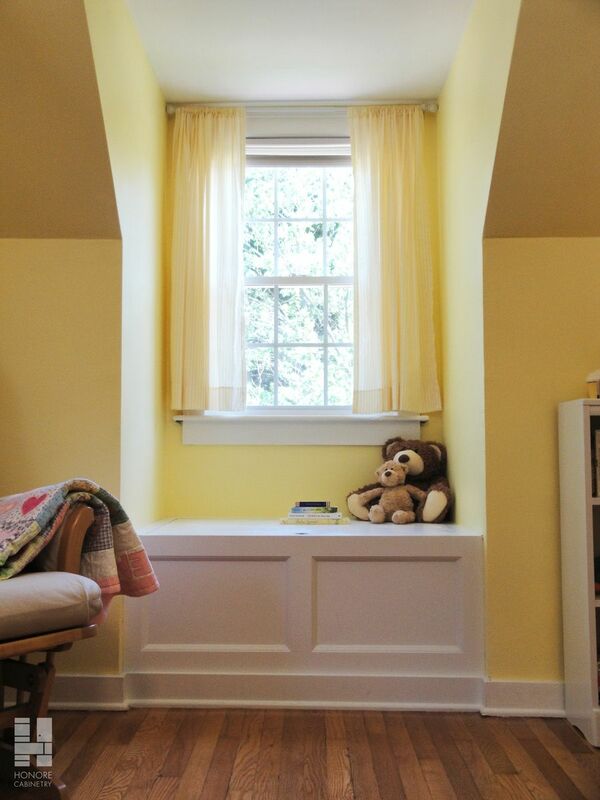 One of two window seat + storage built-ins. 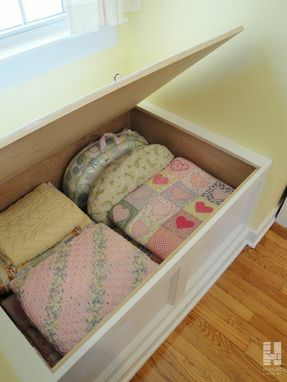 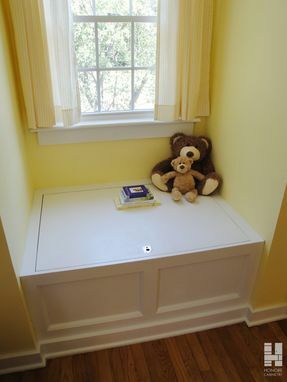 A great solution for those awkward spaces that creates a little nook and much-needed room for storage. 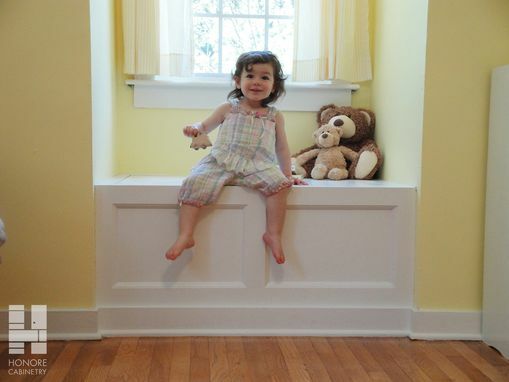 And we have lovely Leah, the homeowner's daughter, enjoying her perch!